There is no evidence for cross-talk between adjacent channels or between detectors. Cross-talk artefacts are generally preserved during dither stacking and also when forming deep stacks of science products. This is particularly the case if a bright star happens to lie close to the centre of a channel and provides a sensitive test to look for artefacts. 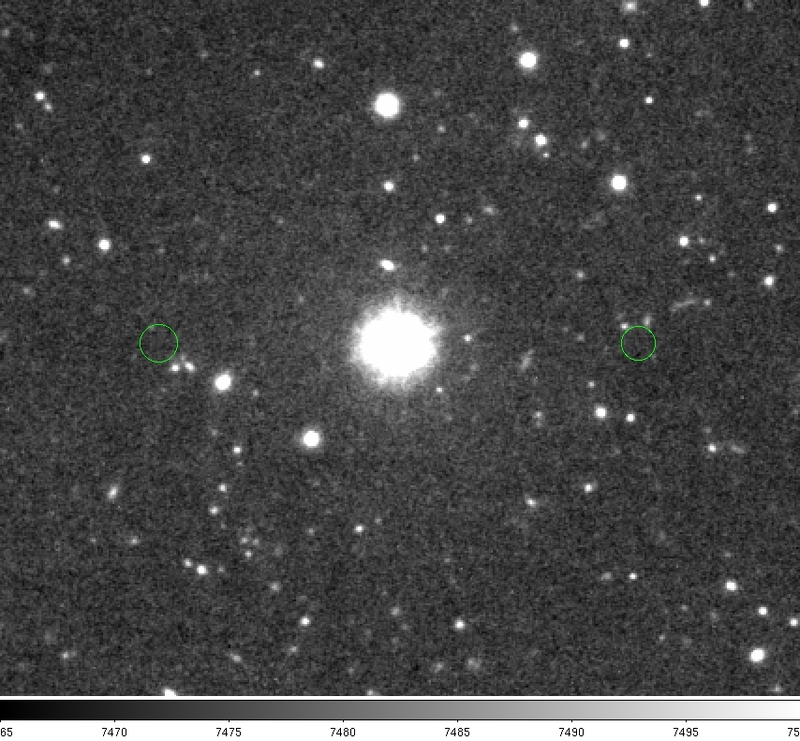 During the SV run a series of deep J-band images were made centred on NGC253. No cross-talk artefacts are visible on any of these deep stacks, equivalent to a total average pixel integration time of around 12000s An example of the region (2' x 2') around a bright saturated star is shown in the figure below. The green circles highlight the expected location of any cross-talk artefacts. Nothing over and above the noise in sky is visible at these locations.